Debra Maldonado is the CEO of the Center of Jungian Spiritual Psychology, a best-selling author and columnist for Inc.com. She has been featured by ABC News, ABC Radio Network, FOX News, NBC News, WB2, Cosmopolitan, Natural Health, Huffington Post, Complete Woman, among others. Nathalie Virem: How do you help women create thriving businesses doing what they love? Debra Maldonado: I help a person see what’s inside of them that’s stopping them from being a success. I go beyond just the mindset, and help people understand why they’re holding themselves back. A lot of people have business coaches that help them with the strategy. I see my part in their process of becoming an entrepreneur, as basically helping them grow into the leader they need to be. They can’t really use the defenses and the conditioning parts of their mind that led them to where they are now to get to the next level. One of the things that a lot of entrepreneurs have to deal with is the people that come into their life. Your relationships with people have a really important aspect of how you create. What we see in other people reflect what’s going on inside ourselves. Since money actually comes through people, the vendors, clients, advertisers and consultants that come into your life, are reflecting something within you. For example, a lot of my clients deal with charging for their services. They’re afraid that if they raise the prices, people are going to think that they’re greedy. They may overgive because they feel guilty about charging a lot of money. I help them understand what is within them that keeps them from achieving the success that they want. What typically happens is that these women understand what’s going on and they make the shifts internally. It’s really about understanding why you created those defenses in the first place. The difficulties that show up in business are actually showing you where the edges of your comfort zone are, so that you can step outside of them. I help my clients see those edges, so that they can have more freedom and more control over their destiny or their business and do the impossible things that they never thought they could do. Nathalie Virem: What spiritual laws do you apply in business? Debra Maldonado: I think the main law is that everything is consciousness. Everything in our life is a part of us. Every annoying client that shows up, everyone that tells you you’re great. The money in the bank account, the debt that you have, the people that come in, everything that you see is reflecting back on you. There are 6 billion people on the planet. Everyone has their own universe. Everyone is seeing the world according to their own individual perception, but it’s all connected; it’s collective. If you apply this principle that everything is consciousness, and that you are that consciousness, this means that you are unlimited; this means that you can bend reality if you want to. If you understand that you’re working with this one consciousness and know how to use it, then you could create an abundance of opportunities, have the people in your life that really make you feel good and clients that you’re happy with and your business can thrive all coming from that one idea that everything is you. Nathalie Virem: What techniques can you share to help us access our unlimited subconscious mind, so it can work alongside our conscious mind and help us understand the messages received? Debra Maldonado: We have two parts of our conscious mind. Firstly, the ego mind, which is the thinker. It helps us survive in the world that has all our defenses and all the negative thoughts. Secondly, the divine intellect or wisdom mind that is this really clear thinking that is accessible to us at any time. Often times, our mind is so noisy that we can’t get to it. One great technique we use is to access the witness watching the thoughts. Close your eyes and just listen to the thinking and then take a step back in your mind and be the observer of the thinking. With practice, the ego voice starts to quiet down, and you can start to tap into higher consciousness. A second technique is visualization. You can visualize a potential future, and ask the unconscious, the wiser self, to give you feedback. Let’s say you’re blocked in some way, visualize a door and ask that divine self about what’s stopping you and the word will show up or a symbol will show up. Another aspect of what we do is that we work with emotions. The Ego is designed to keep you in the comfort zone and status quo, so go to the passenger seat and allow the wisdom mind to start driving the car. For example, ‘that client is going to be so mad at me that I tell her no,’ and just be with that feeling. You don’t get rid of it or buy into it. All of a sudden that little ego starts losing its power. This other higher aspect of our ”self” starts driving the business. We also work with dreams. The unconscious mind is alive and constantly giving us messages and information about where we are. Our path in life that we can tap into. So, if you have a dream, say you’re driving in the car and it’s out of control and the brakes go off and you’re freaking out. That’s a message about some anxiety that’s happening within you about moving forward. This intelligence that’s within us is saying, here’s where you’re off base, here’s where you could change, here’s the way you should go. Let’s talk about synchronicity. What happens is that you’ll have a dream and it’ll have a message and then someone else randomly will have that same message and it’s alike. Here is when we go back to the idea that everything is consciousness and the world is alive in this. This kind of energy that we’re in is always trying to help us and lift us up. Imagine being able to access that as an entrepreneur just to get your cash flow go up. 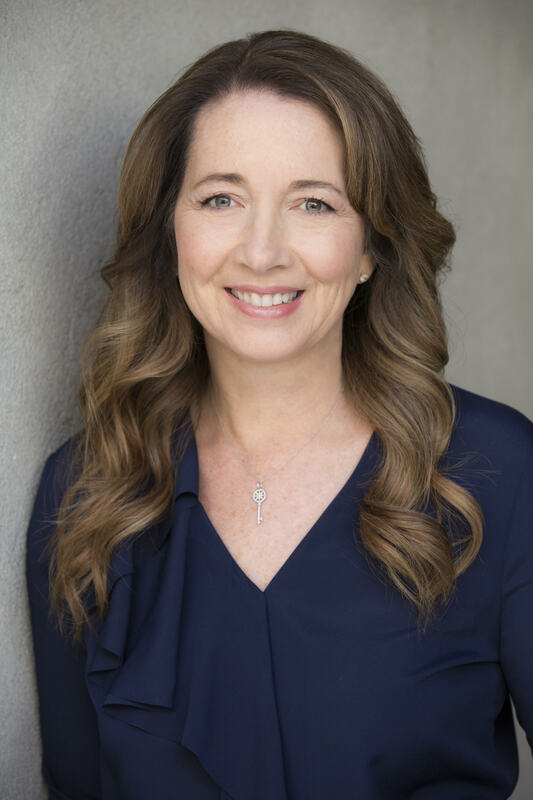 Debra Maldonado is the CEO of the Center of Jungian Spiritual Psychology, a global life coach certification and leadership training company for women entrepreneurs co-founded with her husband Dr. Rob Maldonado. They provide a higher level of training with more depth, real psychology and science-based solutions that truly transform a person so that they can experience an exceptional life with success, better relationships, and health.